KAMPALA – President Museveni applauds Uganda’s shot stopper Dennis Onyango. Uganda cranes captain Dennis Masinde Onyango was named the best goalkeeper in Africa and among the CAF XI. Excellent exhibition in the AFCON Qualifiers 2018/19 with 5 clean sheets never left the shot stopper out of the best squad in Africa. “I congratulate my son Masinde Onyango for being named in Africa’s best XI football team at CAF Awards 2018 in Dakar, Senegal. There is no doubt his goal keeping skills have contributed immensely to Uganda’s recent footballing and as a country, we are proud of him.” Read the tweet. Onyango has been named among the best players alongside Mohammed Salah, Sadio Mane, Pierre Merrick Aubemayang, Mahad Mahrez, Eric Bailey, Benatia, Aurier, Koulibaly, Partey and Nabby Keita. 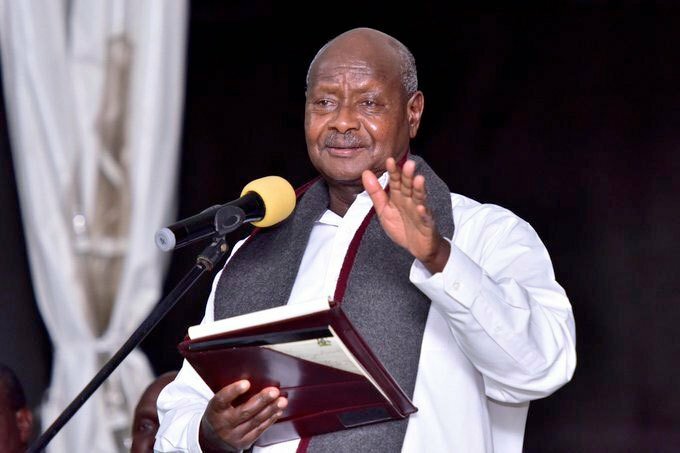 President Museveni has been supportive to the Uganda cranes, previously offered a chartered plane for the national team to Lesotho on the return leg.